At Bodies By Pilates, posture is the foundation upon which we build all movement. We are pretty strict about it, too, because all the work we do to build our bodies to their greatest strength, and ultimately greatest health, cannot be achieved without first accomplishing proper posture. “Posture” is defined as the position in which we hold our bodies while standing, sitting, or lying down. Proper posture keeps muscles, ligaments, bones and internal organs in their natural position. This reduces wear and tear of joints and relieves stress, improving overall health, enhancing appearance, and even boosting mood. 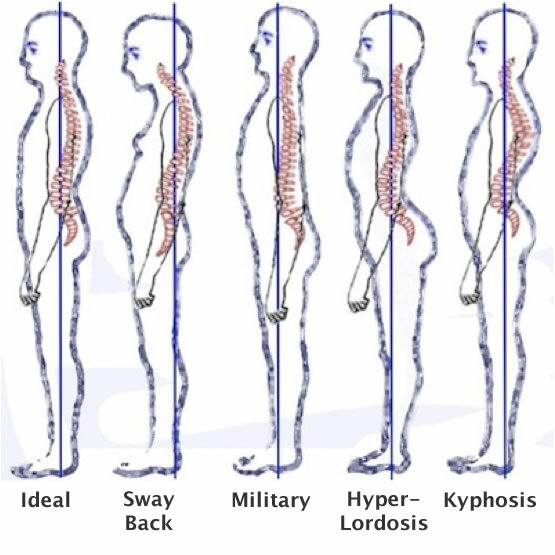 Without good posture, we literally cannot be physically fit. One of the most common symptoms of poor posture is fatigue, because holding the body in an awkward position takes a lot of energy and reduces our breathing capacity. Poor posture increases pressure on the spine, leading to muscle tension, soreness, headaches and back pain. Postural imbalances also compress internal organs, compromising normal function, and sometimes leading to health issues that may include respiratory problems, high blood pressure or poor digestion. He believed we could strengthen our bodies at any age and maintain that strength throughout our lifetimes with regular practice. However, he also knew that none of these goals would be possible without good posture. Because the effective practice of Pilates requires proper posture, and because no human being can be fit without proper posture, and because Pilates is appropriate for people of all ages, it is widely considered to be the perfect exercise regimen for building and maintaining, not only physical fitness, but good health and a sense of well-being throughout life.